A group of friends arrived back at the hotel where we were staying after visiting a famous church that morning. We asked them, what was the big idea? Their response? He didn’t have a big idea, he didn’t a little idea, he seemed to have no idea! Oops. What are the characteristics of an effective and powerful main idea for message? 1. It will be an accurate synopsis of this text. Looking at the passage, this stated idea gets a firm nod of recognition. Or to put it another way: if just the idea were stated, then someone who knows their Bible well would be likely to pinpoint the passage from the idea alone. 2. It will be consistent with the Scriptures as a whole. You may be preaching a single passage, but you are preaching from an open Bible. The idea should not be contradictory to the rest of Scripture. If it is, you need to keep working on understanding your specific passage. 3. It will be true to life. There should be a deep sense of resonance in you as a preacher while you prepare the message. It should ring true to those listening. This isn’t trite, or simplistic, or out of touch, but profoundly true. 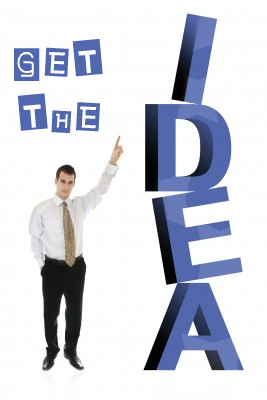 Good ideas stir people passionately, trite ideas just get a roll of the eyes. 4. It will be relevant to life. You may be able to state a profound theological truth effectively, but if it isn’t stated relevantly, then you aren’t really preaching the Word. God’s Word is relevant to life. Make sure your main idea is too. 5. It will be pregnant with meaning and implications. After stating your main idea, the follow up sentence shouldn’t be, “well, that’s about it, really.” There should be plenty that flows out of it. It is expansive. It is rich. It needs to be savoured. It has to be pondered. It begs development. 7. It will probably not be perfect. Just to add a slight caveat…most of the time you may only feel you have a decent idea, rather than a stunning one. Accurate, clear, just decent ideas preached from God’s Word would bring significant health and growth compared to the standard fare in most churches today. We can’t knock it out of the park every time we preach. But decent ideas will transform lives. They Might Get the Idea! 1. Pursuing the main idea will force you to study the passage more effectively. I think we are all experts in following bunny trails wherever they may lead us. Bible study can be an endless vista of bunny trails. But pursuing the main idea forces me to not only ponder the meaning of the details in a passage, but also to ponder how they are working together to communicate the author’s intent. The writers weren’t drunk or frivolous. Every word mattered, and every word was included to communicate something specific. Pursuing the main idea of a passage keeps me focused on what the author was trying to communicate, rather than playing creative word association games where I end up finding things that would leave a panel of original author, recipients and God Himself scratching their heads at my ingenuity. 2. Having a main idea will give you a guide for shaping the message cohesively. The beauty of a main idea is that it becomes the organizing factor for the content of the message. Should an illustration be included? What about the historical explanation? And that word study? How about that anecdote? Hundreds of decisions in every message. But actually the main idea gives a clear organizing factor – does including it help communicate the main idea? If not, save it for another day. The main idea is the message distilled into a single sentence, everything else is scaffolding, or a strategically designed support structure. 3. Offering a main idea will help listeners engage with what matters in the message. Here’s the thing: human minds don’t hold conflicted complexity. Its true in politics, its true in preaching, its true in most things. Rather than hang on to four major points, thirteen sub-points and five telling illustrations, the listener will subconsciously sift and determine the central thought. Problem is that they may well end up with that extraneous illustration being the main point. Since you’re spending the week preparing the message and thinking about it, do the work and decide what you want them to see as the most important thing. 4. Giving a main idea means there is a hope that listeners will remember something helpful from the message. People don’t tend to remember outlines. When they do, they don’t tend to do much with them. Even if they write them down. But Robinson is right when he tells us that “what people do live for, what they do die for, is an idea, some great truth that has gripped them.” Let’s give the greatest of truths every week. As a child I would ask my Dad for help with various projects – fixing the brakes on my bike, getting the scalextric set up, getting the lawnmower to work. Invariably he would show me and then say, “do you get the idea?” I usually did and that was that. Then I studied preaching at seminary. All of my teachers (thankfully) were proponents of “Big Idea” preaching. So now, as I prepare to preach, I am haunted by the question from years ago – do I get the idea? If I don’t, I’m not ready to preach. However, finding the main idea in a passage is usually not as easy as fixing the brakes on my bike. It seems like a disproportionate amount of time can be spent trying to formulate a single sentence in the preparation process. But this single sentence is so important that it is always time worth investing. The payout is always sermon-wide. And the fallout should be church-wide and beyond. So let’s spend some days chasing the issue of the main idea, or as Haddon Robinson would put it, the Big Idea. 1. Ideas are the building blocks of communication. We communicate in ideas. Not words. Ideas. It is possible to get across a message without speaking a word – just think of advertising on the television or a billboard that uses imagery rather than words, just think of your mother when you came up with a creative activity as a guest in somebody else’s home. Words matter, but ideas communicate. So with any biblical passage – it consists of a set of ideas, some bigger, some smaller, all interrelated, and ultimately, all serving the main idea that drives the whole passage. Our job as communicators is not to parrot words, but to grasp and give out the main idea of a passage. 2. Ideas are made up of two parts. I tend to call it the single sentence summary. Somehow that feels easier to grasp than the full explanation of an idea. But let’s go to the full explanation, it isn’t that bad. What is the passage about? This is the subject. What is the passage saying about that? That is the complement. Put them together and you have the idea. Sounds easy. Sometimes it helps to ask, “what question is this passage answering?” (subject-question), and “what answer does it give?” (complement-answer). Or just summarize the whole passage in a single sentence. Whatever it takes, let’s be sure we get the idea! 1. Space does not have to be literal. Over the past few years I have worked in the corner of our bedroom, in a tiny room, in a larger room, on my netbook in my car parked in the Surrey hills (think Gladiator opening scene, only without the war raging), in a cold church room with a fire pumping out heat, and so on. Often we don’t have the physical space we need, but it is still worth thinking through the space we need to create for different aspects of ministry. 2. There is a difference between an office and a study. A while back I read the comment that pastor’s have replaced their study with an office. 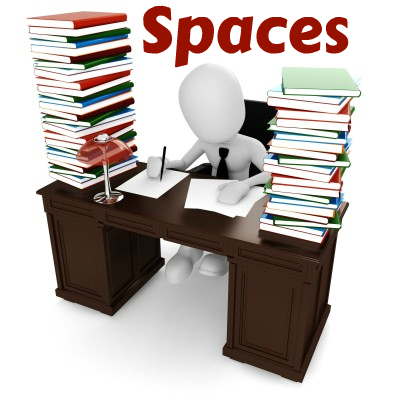 This weekend a good friend of mine noted the difference between a study in the home and an office in the church – largely in terms of interruptions that tend to come in the church, but can be avoided at home (people there understand the need for space!) He told me how he’d put his phone in a cupboard. It can ring, but it doesn’t always feel immediate and urgent. Nice approach. Anyway, the fact remains that there is a difference between an office and a study. Whether they are in the same space or not, they serve different functions. My experience of combining the two is that the office tends to win. I’ve had to leave the office to get to the study, if you see what I mean? 3. Don’t let the business of life and ministry drown out the eternal work that occurs in the study. Emails and phone calls and administration and distractions abound in the office. 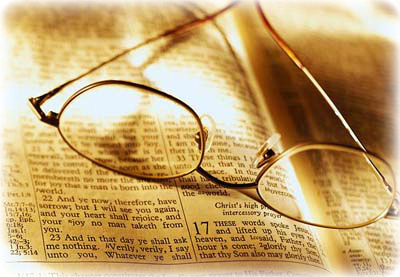 If we aren’t careful, the prayer and reading and thinking and study that takes place in a study can be forfeited. I now have a bigger study. Solution? I’d pondered a separate desk for study purposes. Instead I’ve gone with a huge leather chair from a second-hand store. I love it. At least, I will, once I get the room organized enough to reach it! And if I don’t? Then it will be a daily reminder that the office work at this computer and filing cabinet are stealing me away from what I claim to be most important. All week I have been raising concerns about different approaches taken to preaching. There are others, but I wanted to finish with a reminder of the core requirements for expository preaching. It isn’t about sermon shape – all four approaches mentioned this week might be used in an expository ministry. Yet none of them define it. 1. The best preaching will always involve the work of God’s Spirit. He is the one that searches the depths of the heart and communicates that. We need to be sure that we are pursuing His heart as we study His Word. We must prayerfully pursue the whole process of preparation, all the time being open to learning and changing and growing ourselves. We also need to pursue His heart for the people to whom we preach. Prayer has to be a critical thread throughout the whole preparation process. 2. The best biblical preaching will always be genuinely biblical. That is, the text is not being used, but offered. It isn’t a data source for anecdotes, for launch pads or for proof texting. It is the inspired Word of God that we seek to offer to others as we preach. This means that we take the form seriously, we take the meaning seriously, we take the relevance seriously. The Bible is not something that serves us, it is something that changes us, and it is something we consequently serve to others. And the more effectively we communicate the Word, the clearer the path for listeners to not only gain information, but to be transformed by encountering the God who gives of Himself in His Word. 3. The best preaching will always take the issue of communication seriously. So it isn’t enough to pray hard and study well, producing a textually accurate and even a congregation specific relevant message. 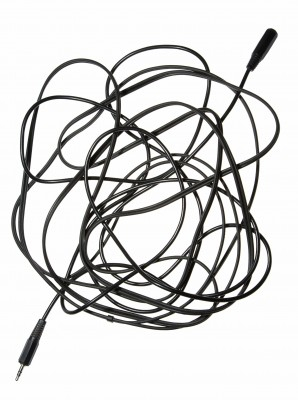 If we don’t take our role as communicators seriously, then we can be a real bottleneck. Communication is more than just a crude explanation of exegesis with some illustrations stapled on to the outline. Communication is concerned with the mood of the text, the persons to whom we are speaking, the situation, etc. It is concerned with the words we choose, the way we say them, the body language that reinforces or undermines. Our communication matters because God places such a high value on communication. 4. The best preaching will always emphasise the relevance to the listeners. We don’t make the Bible relevant. We show how it is relevant. And so we don’t perform a sermon to show off our own knowledge, nor even to simply declare God’s truth. We preach to communicate to people. So we care, and we prepare in order to communicate. God. Bible. Communicator. Listeners. All critical features of expository preaching. 1. Big idea preaching promotes unity, order and progress. The big idea school of preaching is not about having a pithy grabber at some point in the message. It is about recognizing the inherent unity in a unit of Scripture and letting that be the boss of the message. That means that you will let it determine whether a detail makes it into the message. And it will determine the best order of the details included. And it will determine the best way to convey forward movement in the flow of the message. The main idea is like the arrow, the sermon purpose is like the target, and the shape of the message is like the strategy for accurately planting that arrow deep in its intended target. S0 an illustration may be a good one, but if it doesn’t help communicate the main idea, bye for now. An exegetical insight may be impressive, powerful, moving, or whatever, but if it doesn’t help in the strategy for delivering the main idea, save for another time. Every detail, every statement, every explanation, every proof, every application, every word in the message has to be there because the main idea is helped by its presence. Like a commanding team captain, the main idea determines who gets to play on a given Sunday and who doesn’t. 2. Pray about it. Simplifying your message in order to communicate more effectively is not a selfish pursuit. You aren’t trying to be clear for your sake. It is for the sake of the listeners. It is that they might be gripped by the passage, transformed by the truth and marked by an encounter with the God who reveals himself in the Word. Consequently, don’t be bashful about praying for your next message, and for your preaching in general, to become more consistently clear. Ask for wisdom in terms of what to cut out. Ask for a mentor. Ask for understanding. Ask for your preaching to be clear because your passion is for God’s Word to be heard and followed and felt and applied. I don’t normally use the movie analogy, but perhaps I could linger with it slightly longer. A good movie does not pad the main plot, nor does it make it impossibly dense. In fact, every good movie can be boiled down to something more precise than a ten-minute plot. It will have one main idea. And that idea is driven home by the plot and every detail throughout. I actually watched a movie in the cinema this week (I can’t remember the last time I did that!) One crystal clear main idea, effectively communicated with every detail included to support it. Robinson uses the analogy of the arrow and the target – the big idea and the sermon purpose. I like that. I add to that the strategy of the preacher. How is the main idea to be delivered? Will it be up-front and repeated throughout? Will it be built toward and revealed strategically? There are several approaches. However the bigger issue is not how it will be delivered, but whether it will be the control mechanism for the whole message. If the biblical text determines the main idea, and if the main idea is the gatekeeper for every detail of the message, then the message should not be padded, nor dense. It will not be a padded sermon because every element will be there on purpose. The explanations will be there to help communicate the main idea. The proofs will be there to reinforce and support the main idea. The applications will be there to drive home the main idea. There won’t be padding because padding makes no sense in a message designed to communicate a main idea. And it will not be a dense sermon because over packing makes no sense when the goal is the effective applied communication of the main idea. Over packing only makes sense if the goal is something else. If we want to show off, we may over pack. If we want to communicate multiple ideas, we will over pack. But if our desire is to see the main idea do its job, then we won’t want anything to get in the way of that. 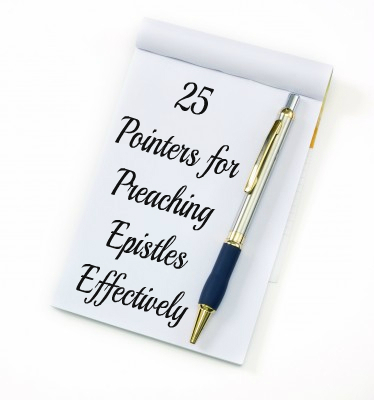 Let’s finish the list, but by no means finish the pursuit of effective epistle proclamation! 21. Select the take home goal – Is your goal for people to remember the outline? Why? Better to aim at them taking home the main idea with a heart already responsive to it, rather than a commentary outline of a passage. Let’s not flatter ourselves – people don’t need hooks to hang thoughts on, they need a thought to hang on to. Better, they need to leave with a changed heart. If they are changed by an encounter with God in His Word, then looking at the text should bring a sense of the structure back to mind. However, remembering the outline on its own has very limited value (unless they’re taking a Bible school exam that week). 22. Pre-preach the message – Don’t rely on written preparation. Most things make sense on paper. It is important to preach through a message before preaching a message. Better to discover that it simply doesn’t flow, or a particular transition is actually a roadblock, when you can still fix it. Pre-preach in a prayerful way – i.e. why not talk out loud to the Lord about the message before and after actually trying it out? 23. Don’t just preach single passages – I am not saying that the only way to plan your preaching is to preach through a book sequentially, but that should probably be the default approach. Series should not become tedious, but cumulative. Let each message build on what has gone before, while standing in its own right. One way to inject variety is to vary the length of passage. You can cover more ground sometimes, zero in other times, and why not begin and/or end with an effective expository overview of the whole? 24. Converse with the commentaries and other conversation partners – Notice I didn’t put this in at the start. I believe we should converse with others during the process, but not become beholden to one other voice. Doesn’t matter if your favourite preacher preached it that way, or a commentator explained it that way, or your friend sees it that way . . . you are the one who has to preach it. But all of those do matter. Your goal is not stunning originality. You want to be faithful to what the text is actually saying, and faithful to your unique opportunity, audience, ability, etc. So converse with, but don’t ride on any of these partners. 25. Present the passage with engaging clarity and relevance – Here’s the catch-all as we hit number 25. I’ve hammered the need to be truly biblical, rather than just biblically linked or biblically launched. But you also need to preach with a relevance to the listeners, and with a clarity that can be easily followed, and all of that with the engaging energy, enthusiasm, warmth, concern, love and delight that is fitting for someone soaked in a passage from God’s Word. This engaging preaching certainly includes the content, but also the delivery – your expression, your gesture, your movement, your body language, your eye contact . . . it should all be about a heart brimming over with God’s Word to connect with God’s people. Your heart has encountered His heart, so you want to engage their hearts for the sake of transformed lives and a pleased Lord. 16. Aim for clarity in your explanation – You will dig up masses of information if you study properly. Sift and sort so that your sermon isn’t packed and dense, but engaging and on target. You could offer a subsequent audio file of out-takes (bonus material!) and notice that most people don’t take you up on the offer! 17. Be alert to different levels of application – Not every application has to be an instruction to action. Sometimes the text’s application is at the level of belief rather than conduct. Sometimes the take-home should be a heart stirred by truth, by Christ, by the gospel. Affections, belief and conduct all matter. If we make application purely about conduct, then we are missing a goldmine of genuine life change. 19. Preach the message of the text, not a message from the text – There are any number of potential homiletical outlines, thoughts and applications in a passage. Some are closer than others to the actual message of the text. If you preach clever messages derived from texts you will get lots of affirmation. If you actually preach the message of the text, and you preach it well, you will be a gem of inestimable value in the church! 20. Begin your relevance in the introduction – The old idea of explain for ages and then apply briefly should become a relic of an idea. You can demonstrate the relevance of a passage before you even read it. Get the relevance into the introduction, then continue to show the relevance of the passage and seem relevant as a preacher throughout the message. Just one more post, not because that is all there is to say, but because I don’t want the series to go long in the hope of being exhaustive – that doesn’t work in preaching, so I probably shouldn’t do it here either! 6. Grasp the flow of the whole – As a preacher you need to be able to explain the flow of the epistle. Some of us are better at the details, others at the big picture, but we all need to work on both. Preaching that just methodically explains the details without a good sense of the whole will be tedious, atomistic and disjointed. Preach so the whole epistle can hit home. 7. Study the sections in light of their detail and the big picture – So as you look at a particular section, you will need to wrestle with the tiniest detail. That may or may not need to be explained when you preach. But don’t forget to keep thinking about the big picture, the broad flow of thought – that will need to be explained! 8. Study details and structure – Close reading of a passage is not just about word studies, it is also about sentences, and how sentences connect, and how transitions are made, and how paragraphs link. Be sure to recognize repeated terms and themes, as well as patterns in flow of thought. We have to study and hold understanding of the text at multiple levels of elevation at the same time. A fun challenge! 10.Compare and contrast situations – The original audience and their situation is not going to be the same as your listeners. Compare and contrast the two. What need do your listeners have for this passage? Adjust how you present it accordingly. But don’t adjust its original situation or meaning accordingly, that will weaken the message.